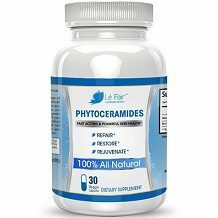 In this review, we will talk about the product called Phytoceramides by Le Fair and see what it can do to help support your skin. 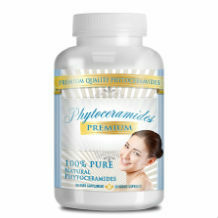 This dietary supplement claims to increase skin hydration and collagen production thereby making the skin more elastic. It also seems to keep proper moisture balance, fight free radicals, help remove dead skin cells to promote new skin cell growth, plumps the skin and improves the structural integrity of it. Moreover, it also claims to remove wrinkles quickly, remove skin puffiness, brighten dark spots, and firm up the skin. As a dietary supplement, this product is to be taken once a day preferably with a meal. However, the product’s website didn’t mention whether you should take it before or after a meal. The product’s website didn’t mention any possible side effects when taking this product. However, people who have hypersensitivity to some form of oils might experience stomach upset or diarrhea. This product is only recommended for adults (18 years old and above). It is also important to stick to the product’s dosage. You should also consult your physician if you are taking any medication, over the counter products or have any medical condition. You can buy this product from the product’s website for $11.90 per bottle containing 30 capsules. Free shipping is available for buyers who are living in the US and UK. You can also get special promos and discounts if you decide to join the manufacturer’s club. Unsatisfied buyers may return their unopened bottles within 30 days of purchase and get a full refund. It is imperative that you contact the manufacturer’s website or their hotline and obtain an RMA or Return Merchandise Authorization number before you return your product. The product has a very reasonable price considering that one bottle will only cost you around $12. It’s also a good thing that the manufacturer offers some discounts and promos if you are able to join their club. However, the manufacturer is only accepting unopened bottles for returns which make it almost impossible to try the product risk-free. Moreover, the product seems to claim so many skin benefits but have failed to show or discuss how the product is actually going to achieve all those things.